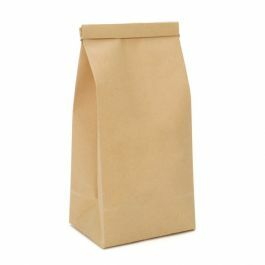 Our TTB2K Kraft Tie Tin Bag measures 4 1/4" x 2 1/2" x 10 1/2" and is ideal for holding donuts, cookies, candy, and more. 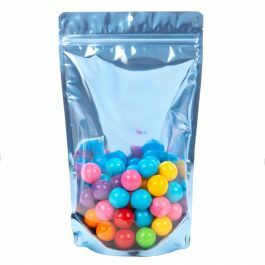 This bag is made with a poly vapor lining to keep products fresh. Easily secure closure by folding down the tie tin top and crimping the tabs into place. Food safe. 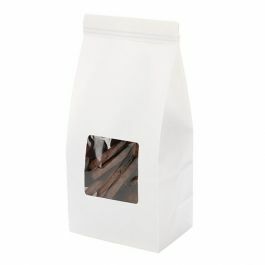 This TTB2K Tin Tie Kraft Bag provides the perfect packaging solution for baked goods and bulk items. 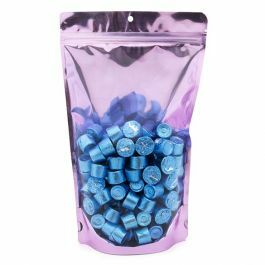 This bag measures 4 1/4" x 2 1/2" x 10 1/2" and makes a great takeaway bag for donuts, cookies, rolls, candy, coffee, and more. An inner poly vapor lining seals in freshness without leaving any greasy residue. 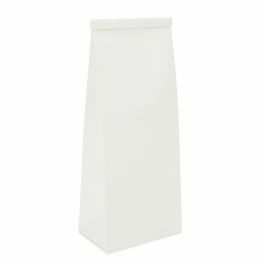 A flat bottom allows this bag to stand upright for easy filling, so your customer can get just the right amount of coffee beans or other bulk products. Secure the bag closed by rolling down the top of the bag and folding back the tabs. This simple Kraft package is easy to brand and make your own with labeling or a custom design.